Please Visit Our WHAT'S NEW! Page For More Information. BCS is looking for new choristers to join our concert choir. 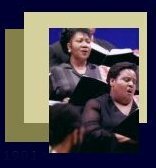 If you love to sing, love classical music and love the creative challenge of ensemble singing, The Bronx Concert Singers just might be the perfect place for you. Click the image below to learn more about becoming a member of BCS.